The all new Hertz Audi Q7 hits the road again this week following Holiday World and the ITIA awards. Well done again to all the Hertz Ireland team for winning best Car rental trade partner at the ITIA Awards. The Four Wheel Hive will be captained my First Officer Shane Cullen as the Hive makes it way from Dublin around the country with the Aer Lingus Taste of America and Holiday show in Limerick’s UL. 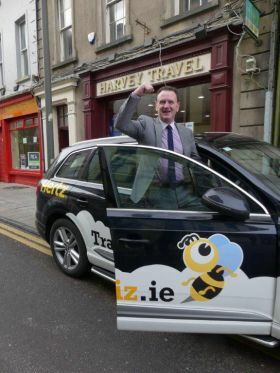 So keep your eyes peeled as there will be lots of Travelbiz goodies in the Hertz Four Wheel Hive.